Craig Custance says, "I’m walking away from my dream job..."
Back in April when ESPN conducted its mass layoff of some 100 on-air staffers and writers, one of its departments that was decimated was its NHL coverage. We got wind that Scott Burnside, Pierre LeBrun and Joe McDonald were let go. I’m walking away from my dream job for reasons I’ll get to explain later. But in the meantime, I want to thank so many people. 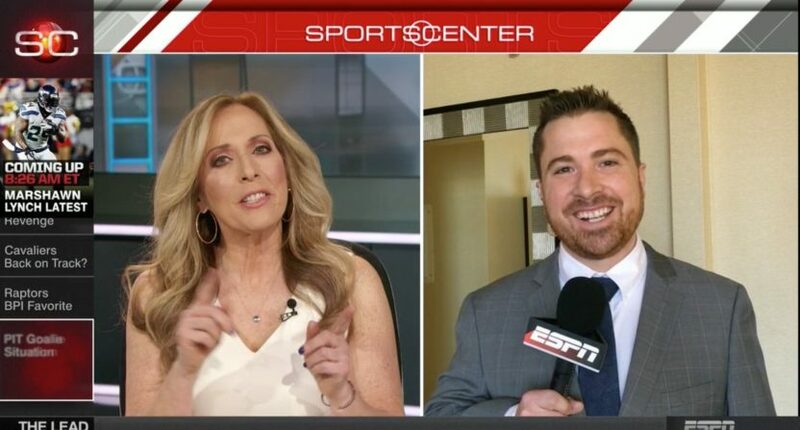 Working at ESPN has been the opportunity of a lifetime and for that I thank Chad Millman and Dan Kaufman for bringing me aboard six years ago. I’m indebted to both for the support they’ve provided right until the end. Along the way, I’ve worked with a number of incredibly supportive editors – Joy Russo, Sarah Goldstein, Tim Kavanagh, Mike Hume, Dayana Sarkisova, Paul Grant, Aimee Crawford, Chris Sprow, Mary Byrne – the list goes well beyond that group and I’m thankful to all of them for their ideas, corrections, improvements, support and all the hard work they’ve put into our coverage. The ESPN hockey writers through the years are now family to me. Scott Burnside, Pierre LeBrun, Joey Mac, Katie Strang, Corey Pronman, Scott Powers and all the other writers who teamed up for our hockey coverage are what made this job so fun every day. I’ve never worked with a group of writers so selfless, thinking only of ways to make the team better. It was unreal. I’d like to especially thank all the ESPN Insider hockey subscribers who have consistently impressed me with their support and interaction through the years. You guys all made it fun to do my job and kept me motivated on a daily basis to make it worth your while. I sincerely never took it for granted that you were willing to invest in hockey coverage. I could feel your passion. Thank you. This was truly a gut-wrenching decision but I absolutely believe where I’m headed next is an opportunity that may only come along once in my lifetime. I can’t wait to share it with you when I can. The fact in just a short month, just about all of the full-timers are gone like Burnside, Custance, LeBrun, McDonald and even Britt McHenry are gone and a few part-timers like Katie Strang and Tim Kavanaugh are apparently still there goes to show how quickly things can change in this industry.